Description: Smith, Elder and Co, 1883. Revised Edition, Hardcover. Good Condition/No Dust Jacket. 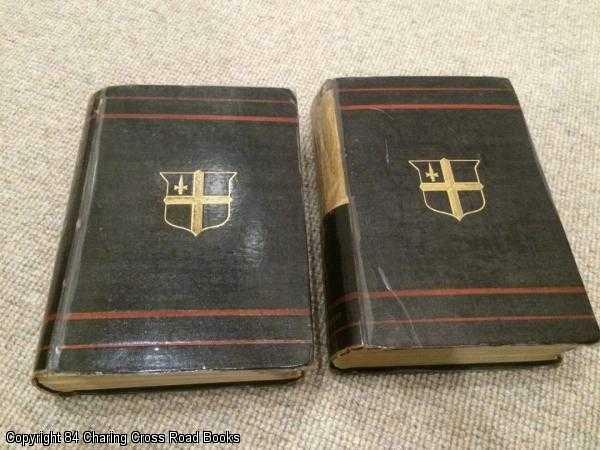 Good 1883 5th edition Revised hardback 2 volume set issued by Smith, Elder - both volumes have had plastic laminated applied directly to the boards for protection. Some spotting to end-papers, top half or so of backing of spine of Vol 2 is missing, but binding is secure and tight, name to fly-leaf in pencil. Sent Airmail at no extra cost; Quantity Available: 1. Shipped Weight: Under 1 kilogram. Pictures of this item not already displayed here available upon request.